One of those kids, Lyla Stensrud, was born after 21 weeks and four days, weighing just 14.4 ounces. It is almost certain that technology will advance to a place where there will be many more children like Lyla. Does anyone really argue that a single week makes that fetus a mere clump of cells? According to the Guttmacher Institute, around 15,000 Lylas are aborted every year. RumTumTugger, oxmixmudd amen'd this post. Look no further than the unhinged response from Monica Klein, the founding partner of Seneca Strategies, when Tucker Carlson asked her "I wonder what you think about what Dr. Northam, the governor of Virginia, said. The infant is born. There’s a point where the mother and the physician can decide whether to kill the infant or not." Personally I was wondering yesterday why conservatives on this forum are never honest about abortion. I'll grant you this, at least you are very forthwith about your support of slaughtering newborns and infants. mossrose, Christianbookworm, RumTumTugger, LostSheep amen'd this post. When does murder stop being okay? Well a lot of conservatives on this forum who get so hung up about abortion seem to be fine with murder when its done by police to criminals, the State in the death-penalty, individuals with guns in Stand-Your-Ground laws, soldiers in wars, or by drone strikes. All of which I am against in general. So maybe ask yourself and fellow conservatives your question first: Why you all are so okay with murder under many circumstances but get very upset about it when it comes to abortion? In my view, which is a very common view among secular people, though not shared by everyone: What matters is the mental abilities of the victim. A rock has no mind at all, so cutting up rocks isn't a moral issue at all. A plant has virtually zero mind so cutting them up is pretty much not a problem. Small insects just work on a few neurons guiding them to move around so squashing them isn't really an issue. But with the higher mammals they start to have quite sophisticated mental abilities: Consciousness, basic language, ability to mourn, good memories, complex social behaviors and interactions, can learn to use tools to solve basic problems, can recognize themselves in a mirror, etc. So the killing of higher-cognition animals for food is a very morally problematic practice. As such I want to see society protect all higher-cognition animals and move away from using them as a food source for humans. With regard to human development, any given human starts out as a single fertilized cell which obviously at that stage of development has zero brain and zero mental abilities. As the fetus develops it begins to develop a brain, creates some basic mental connections etc. Humans are actually a quite unusually late-developing species when it comes to mental development. e.g. a baby horse is born with the ability to walk within an hour or two of birth etc while a baby human takes about a year to learn to walk. The reason for this is because humans stand upright the hips of human mothers are narrow compared to other species and hence human babies heads get squashed as they go through the birth canal. A result of this squashing is that the human infants brain would receive massive brain damage if it had been significantly developed pre-birth, so instead human infants have evolved to have absolutely minimal pre-birth brain development and to begin brain development post-birth. Whereas species like horses can have their offspring born with a fairly fully developed brain that knows how to walk etc. Post-birth human babies then being to rapidly develop their brains, surpassing apes in intelligence / mental capabilities at about 2 years of age. So looked at on the scale of mental abilities, a pre-birth human fetus has a level of mental development lower than that of a cow or a sheep, animals which our society currently regularly slaughters for food (which I think is morally wrong and shouldn't be done - see above). In that context, a choice to abort a fetus is less morally wrong than the choice to kill an animal for food, because the mental development of the fetus is lower than that of the animal being killed. Last edited by Starlight; 02-05-2019 at 02:45 PM. Well a lot of conservatives on this forum who get so hung up about abortion seem to be fine with murder when its done by police to criminals, the State in the death-penalty, soldiers in wars, or by drone strikes. All of which I am against in general. So maybe ask yourself and fellow conservatives your question first: Why you all are so okay with murder under many circumstances but get very upset about it when it comes to abortion? It’s always interesting how the culture of death goes about justifying its pro infanticide policies. RumTumTugger, Bill the Cat amen'd this post. So, when do you want some fetus burgers, star? I cannot say that I have vetted this entire article, but the bolded/underlined part of it jumped out at me. It seems patently absurd that any state would pass a law permitting the killing of a viable infant after it is separate from the woman's body. As I suspected, the statement is false. It is yet another effort to fear-monger this already emotionally laden subject. Note that I am not taking a position on, or defending, late-term abortions. I find abortions abhorrent. But there is no need to mislead in order to take a position. Last edited by carpedm9587; 02-05-2019 at 02:48 PM. Apart from the yuck factor, any species eating its own species is a really bad idea medically because parasites and viruses etc get directly transferred. If you look up prion disease, it's really really nasty stuff. 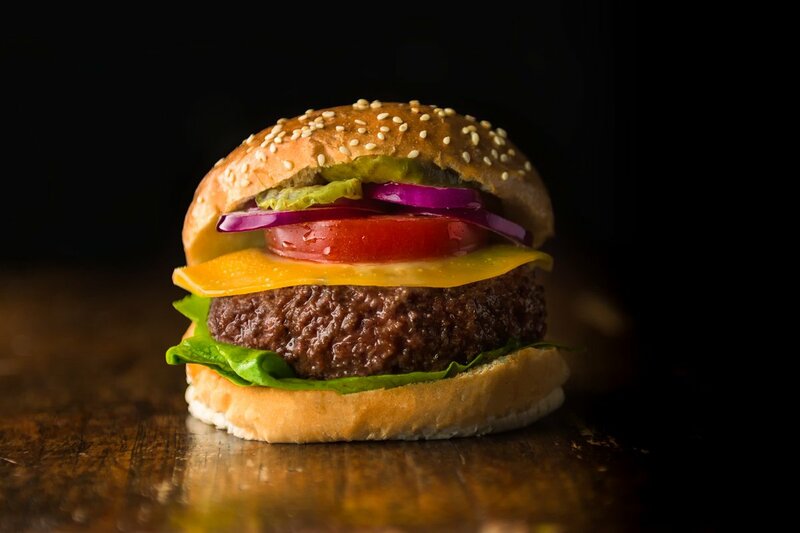 A Dutch company that presented the world’s first lab-grown beefburger five years ago has said it has received funding to pursue its plans to make and sell artificially grown meat to restaurants from 2021.